Above show what the Land Rover Defender could look like in 5 years, its named the DC100 Concept. But when it was first built in 1982, no one expected it to look like this. At the moment the current Defender look almost identical to what it looked like all that time ago. If it did like it in even the next 7 years then i would be surprised as the current design, even by today’s standards, is just too retro. The new concept looks funky and modern, which is what most cars will look like by 2020. But what will something even more classical look like in the future. . . The corvette was first made in 1953, in 2003 they brought out a current corvette, the C6 and expected in 2014 is the C7 range, so what will that look like. . . In 2009 Chevrolet bought out the Corvette Stingray Concept which was meant to be what the next generation Corvette would look like but spy shots have said that the corvette looks nothing like this and will look more like the previous generation C6. Chevrolet did hint at the fact it might look like the original a bit, but this it probably not the case and the chances of it are slim. But what will it have to rival, also one of the great icons, originating for 1967. I think you may of guessed already, your future Shelby Mustang. . . If you had the choice would you have this 5.0 Litre monster, well actually not 5.0 as Ford are trying to make the Mustang more economical and have decided that it going to have a smaller engine, hinting at a 2.5 ecoboost engine.. This is awful, why Ford? The whole point of a Mustang is that it is meant to be fun, crazy and great to drive, not caring if it does 2 Mpg. But now they are planning to make it more economical and the same is too happen to the Corvette C7, the 7.3 Litre of the old are now to be replaced with smaller engines. Meaning the way forward for America is Green. Or is it. . .
As Chevrolet are planning to use Cadillac’s engines for the next few year, this could mean any thing from 4.4 litre to 6.2 Litre V8’s, making it alot less greener and alot faster than some of its current rivals. You may think i don’t like economical cars by now but i do, i think they are great, but what they are doing is turning cars that used to have 5.0 litre V8’s into cars that have under powered 3.0 V6’s. Making fast cars endangered. Soon Aston Martin 6.0 litre V12’s could become extinct, (despite revealing the new 2013/14 Vanquish with one). If this happens this will be a tragedy and the most wonderful noises of the world would only be heard every Blue Moon. But as the world is becoming more populated and more cars are being made, 4×4’s and SUV and even Big cars (MPVs, Supercars) could no longer exist. 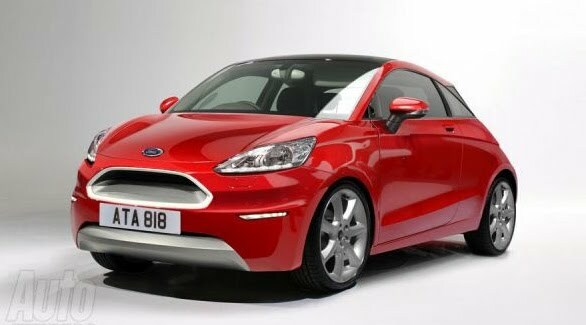 The world has now decided that city’s should have small cars, soon Smarts and Ford Ka’s will be taking over the world. But what will they look like when they do. . . and what other small cars will be joining them. . . 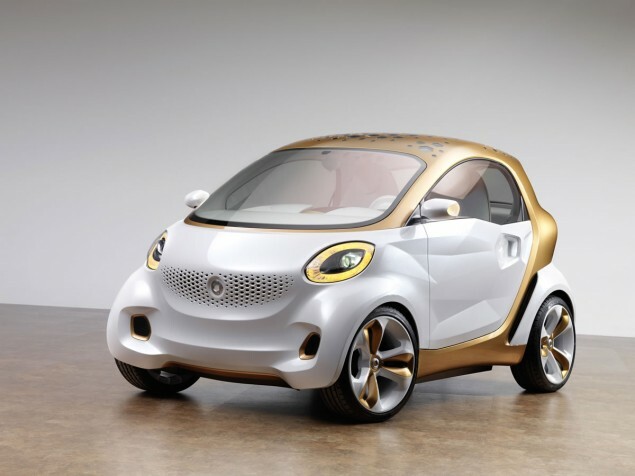 This is the Smart Forvision. . . These 4 cars could be the main cars you see driving around in London or New York in the Future, so where does this leave the V10’s and V12’s, where does this leave Supercar companies that build only Supercars and don’t know how to build a small car? Gone? History? Maybe, but for now lets just enjoy amazing range of Supercars that are around today, and try to be fairly economical about it.